Our next volunteer trip to Nepal in 2019! Through selfless service to others, we can spread the seed of compassion and cooperation. As a Langtang Volunteer, you will enjoy breathtaking views, rewarding work, and generous hospitality from a unique culture. 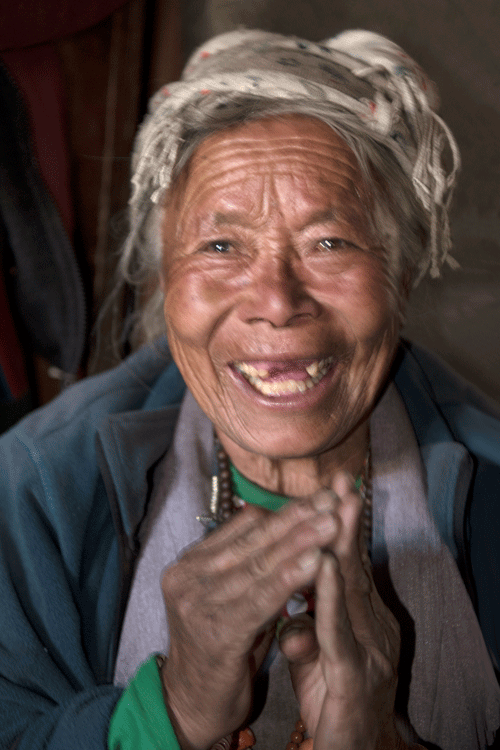 FIRE-hosted volunteer trips are led by professional Langtang guides. We offer four travel options. All trips include 7 nights in Langtang and 4 nights in Kathmandu. Exact trip dates vary based on the option you choose. Additional sightseeing days are available in Kathmandu and Langtang Valley. 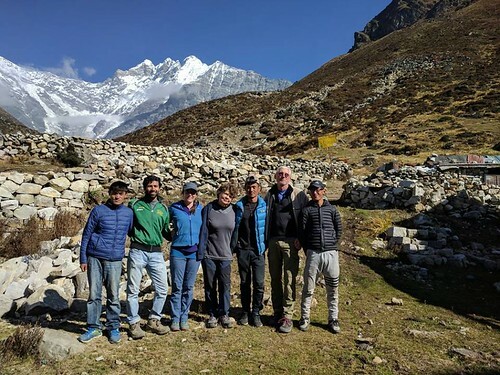 We are working with Kyangin Gompa Langtang Society (KALS), a Langtang based non-profit, who built and manages the only health clinic in the Langtang Valley. The community has specifically requested physical therapists and eye specialists. We also need general practitioners and public health specialists to help with the development of our long-term plan including establishing a patient database for sustainable, ongoing support. You will spend quality time examining, treating, and teaching participants one-on-one in coordinated clinics based in the health clinic. You will also help teach small group “workshops” for specific common issues in the community center. Assistants will help you to collect necessary information for long-term tracking of the community and individual needs. An Ultra Sound machine will also be available for use. We are looking for optometrists and optometrist assistants to give basic eye exams in the village clinic with basic supplies. The last four days of this trip we will be joined by a Nepali Ophthalmologist, Optometrist, and nurses provided by the Lions Club of Kathmandu Himchuli. FIRE and the Lions Club will cover the costs of any necessary surgeries, medicines, and eyeglasses. We will conduct screenings and provide vaccinations. You will also work with East Tennessee State University to research and develop our future programs. We will be setting up a patient database and assess overall medical needs, data collection processes, and troubleshoot logistics. We are grateful for your support! We hope you will join us! The dates below note the arrival and departure dates from Kathmandu, Nepal. These dates are the latest dates to arrive and earliest you should plan on leaving. Travel to and from your home country are additional to these dates. *Prices based on a minimum of 3 people per flight. *Some discounts may be available depending on trip size and your trip option. Prices include all in-country expenses: meals, tea, lodging, permits, entrance fees, Nepal and American guides, porters, and transportation. These prices do not include flights to and from Nepal, room upgrades, bottled water, soda, alcohol, extended stays or tips for guides. All rooms are shared with two people per room. Single room upgrades are available for an additional $200 per person.